One of the great things about t-shirt patterns like the Concord T-Shirt are that they’re totally hackable! If you’re a beginner, you can quickly and easily discover how fantastic it is to be able to adapt patterns to create exactly what you want – and if you’re a bit more advanced, they can be a great palate cleanser (I’ve been sewing with chiffon recently… yeah.). I already shared my Concord T-Shirt Dress hack, and today I’m going to share four more fantastic t-shirt pattern hacks from my pattern testers and friends! Gillian of Crafting a Rainbow re-invented her t-shirt into a 90s inspired ruffle dress with just a few gathered rectangles! 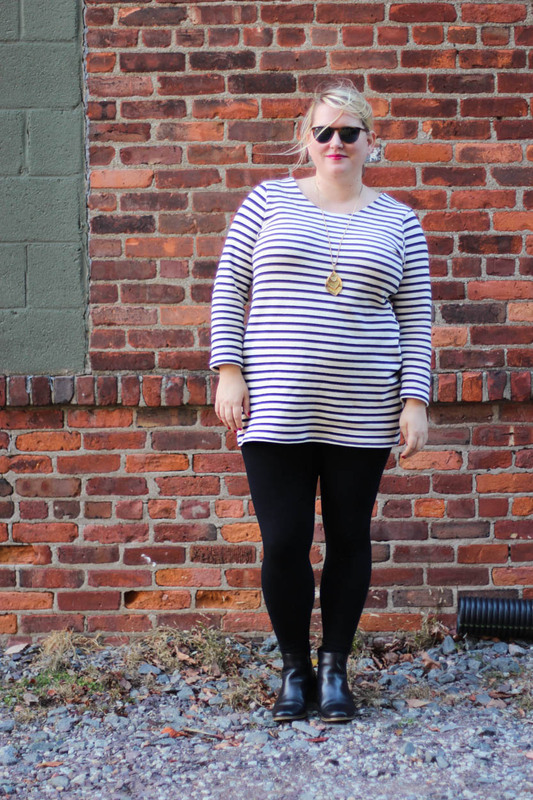 Check out her post – and awesome posing. 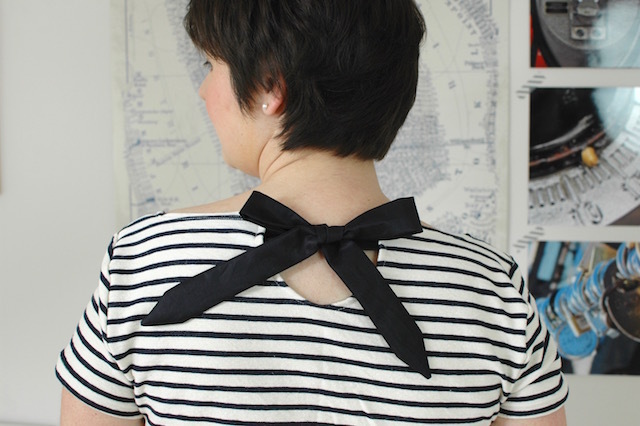 Steffi of 81 gradnord wrote a tutorial on how to make this really cute bow-back hack for the Concord T-Shirt (which would also work with other patterns). There are so many possibilities when you start thinking about ribbon types, colours, lengths…. I’m going to have to whip a few of these up for summer. 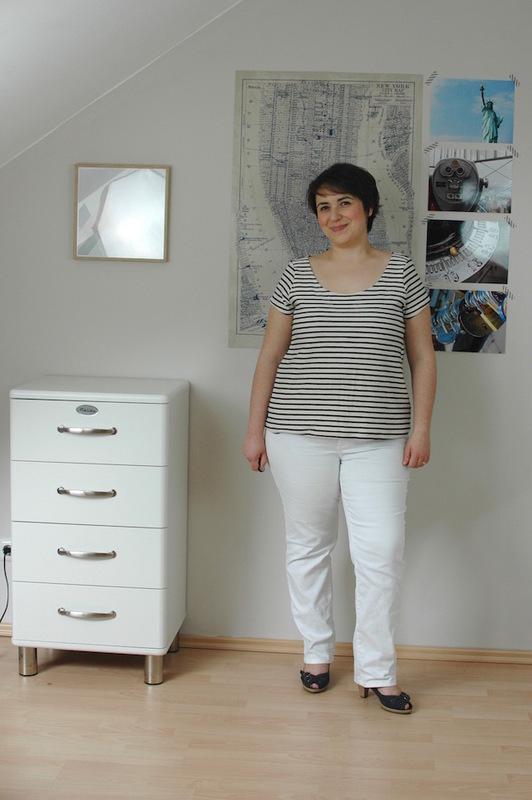 Steffi’s at it again with another t-shirt pattern hack! This time, she cut the back piece into two to create a yoke, and used chiffon on the bias for the top part. I love this! You could also use stretch lace, or a contrasting jersey. I met Mariska at Craftcation 2016, and was immediately transfixed with her t-shirt… what a beauty! Mariska hand-sewed the hexie quilt pieces together (here’s a tutorial on how to do that), and then sewed around the edge of the patchwork to attach it to the t-shirt. Simple and oh-so-impactful. 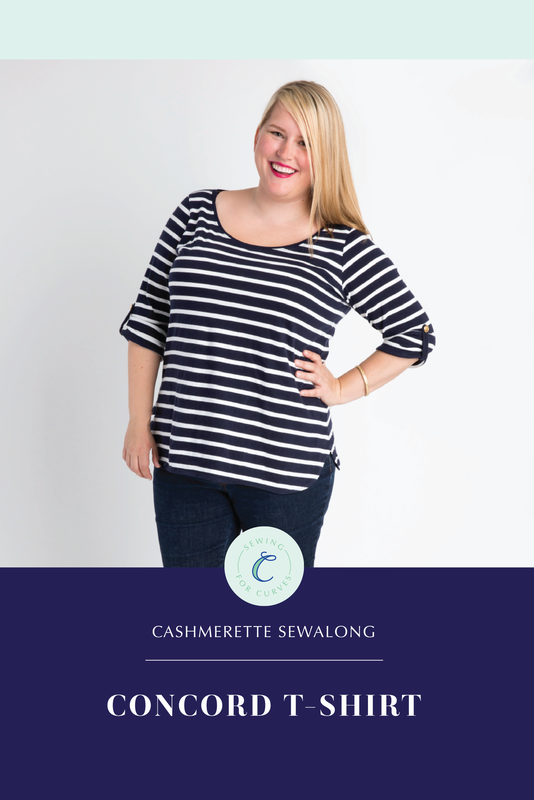 Are you inspired to do some t-shirt pattern hacks of your own? 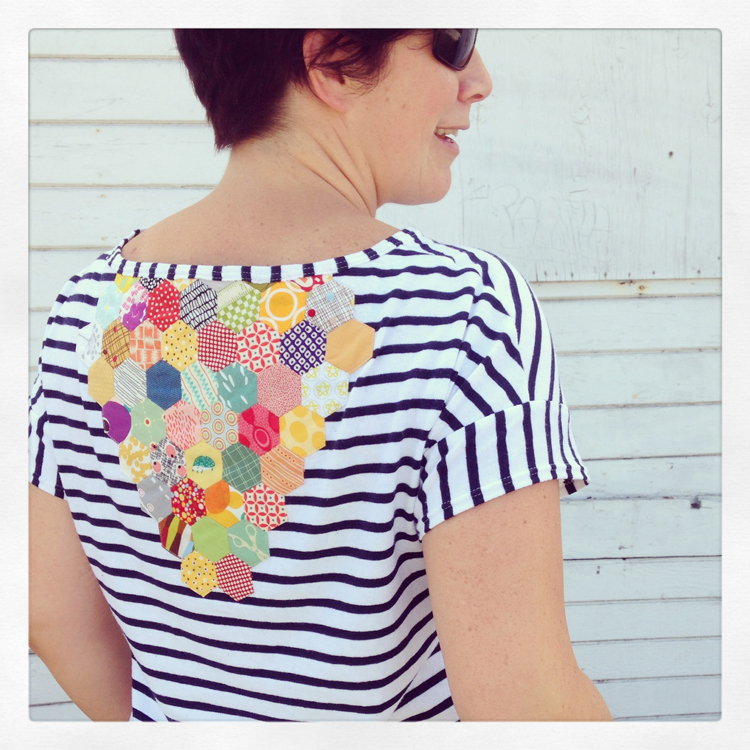 Do you have other creative ways you’ve adapted t-shirt patterns? I’d love to see them! These are awesome! Thanks for sharing them! I especially love the sheer back version. Love what Mariska did with her “patchwork quilt” hack 🙂 Beautiful 🙂 I still have yet to get to my Concord but it’s up next! I love the sheer back version too. Tempted to try some of these – along with a ruched lower side seam and a contrasting yoke. I would love to try this pattern (just getting back into sewing and I’m more than a little rusty). What keeps stopping me is the wide neckline. 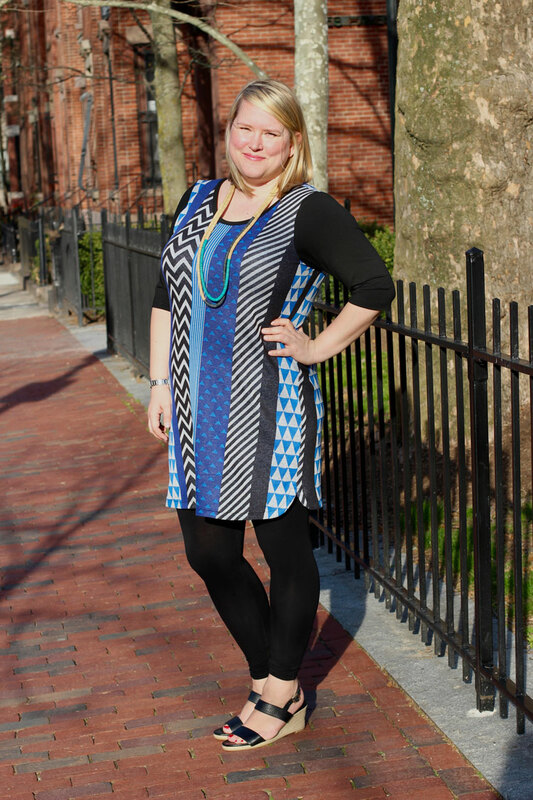 Because I’m a petite plus, the wide neck on these patterns keep me back. If I sew them as is, my bra shows on both sides and/or is slips off one shoulder. But I need the width through the bust, tummy and hips. What’s a girl to do? A girl that doesn’t really know much about how to modify the pattern but is hopeful that she can learn. Hi! You can definitely make the neckline less wide – it’s literally just a case of drawing that onto your front and back pattern pieces in a smooth curve (you’ll need to add a little more paper underneath the pattern, then draw it on). You’ll then need to create a new neckband piece – just measure the final length of your neckline, and multiply that by 85% and that’s the new length (you can use the existing neckband piece for width). Hope that helps! I have hacked a few t-shirts lately using lace. One shirt I purchased online was way too tight in the arms. So I slashed them open and put in a band of black lace. Then I trimmed off the hems and necklines with a coordinated skinnier lace. Another t-shirt didn’t fit right around my hips. So I opened the side seam and inserted a triangle bridal motif I picked up at an outlet store on each side. It looks fabulous. I get lots of compliments on both shirts. I like the ideas you shared here, especially the hexie triangle! After summer I can find like-new thrifted long jersey sundressses with skimpy tops–but you can re-make the skirt for a top. I opened the center back seam on one and inserted a vertical black lace strip for a T, because often the front can be a few inches wider than the back. I did the same cutting T sleeves from bodice parts when they weren’t wide enough. Could someone show us a drafted contrast yoke or off-center split front hack when not enough fabric? I never know where to seam a yoke to hang well, even if not full-busted. Thanks!